According to AARP, one of the biggest fears people have as they age is losing mental capacity. Today’s expert has developed a proactive program that provides a positive impact on brain health. Lynn Steffes, PT, DPT of Steffes & Associates Consulting Group and BrainyEX recently shared details about cognitive health and how physical therapists can help. The BrainyEX program provides baseline cognitive testing, prescribed exercises and education to help individuals utilize the latest research maximize their brain fitness. It’s a new offering that physical therapist can add to their clinic and provide a real beneficial service to members of their community. Listen to the full podcast to learn more. 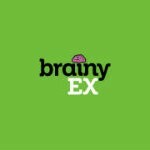 Additional information can also be found at brainyex.com.